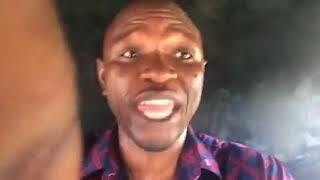 Vanguard Editor, Adekunle Aliyu, Released By The Police! According to Vanguard, In his bid to exercise his constitutional right enshrined in section 39 of the 1999 constitution as amended, the Vanguard Online Editor, Mr Adekunle Aliyu, on Friday was assaulted, maltreated and arrested by the Nigerian Police Command in Ikotun, Lagos. Mr. Aliyu who speedily contacted Vanguard at the peak of his arrest opined that the officers refused to disclose his crime to him. “I was arrested for doing my job as a journalist. They caught me taking snap shots and video clips of both the officers and Okada riders respectively. ‘When they accosted me and ordered me to enter their van, I insisted and asked them to tell me the crime I committed. They remained mum and pushed me inside their ‘Black Marria’ Van”, he said. Expressing the embarrassment he received from the officers, Mr. Aliyu told newsmen that he was not beaten up by anybody but would rather chose to be beaten than to be humiliated the way the officers did to him. When asked if there were items damaged, he answered ‘yes’. “They broke my Ipad, got my shirt dirt and pushed me into their van”, he angrily said. At exactly 3:15pm, Mr. Aliyu called again to break the news of his release. According to him, “I have been released, with conditions”. When asked the conditions he said, “They warned me not to cover or take their photos whenever they are doing their job. They equally told me that I should first seek for their consent before taking their images for any report. “I thank God I came back untouched”, he finally said.